Arrived well before sunrise this morning to observe the extraordinary winter crow roost in Lawrence, MA. These American Crows have gathered along the Merrimack River for decades as part of an overnight winter crow roost. In the off season, crows are known to gather in large numbers. In recent years, the winter crow roosts are seen with greater frequency in urban areas. This morning provided an awesome opportunity to witness the overnight gathering just as they departed for the day. This roost is estimated at just over 5,ooo American Crows along with a much smaller contingent of Fish Crows. After quieting down after sunset in the overnight roost, and spending the night together, they launch into flight at first light. They are very noisy and depart in all directions. 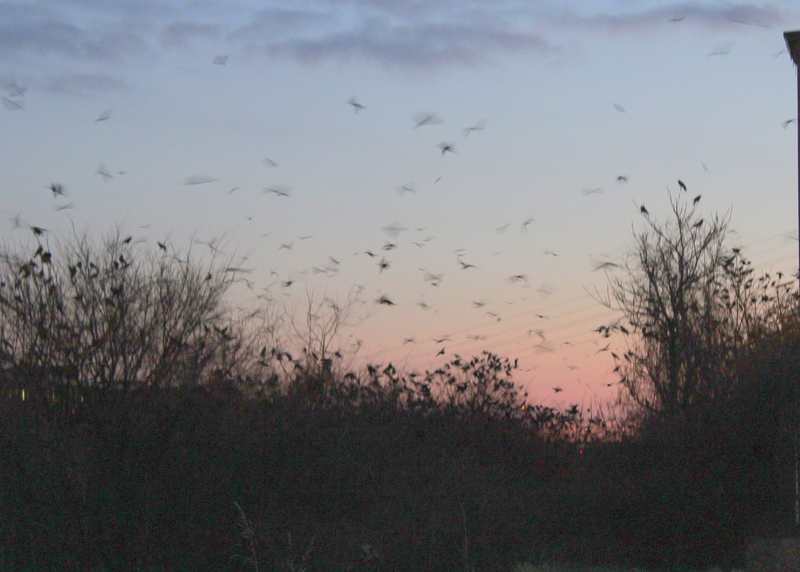 By sunrise, almost all of the crows are gone from the roost…..quite an amazing sight!